Indoor 640X640mm P10 Rental LED Display is a product with the pixel pitch is P10mm and mainly used for indoor aplplication and rental event, they are aslo called as P10 rental LED screen or P10 rental LED video wall with the size is 640mm in height and 640mm in weight. 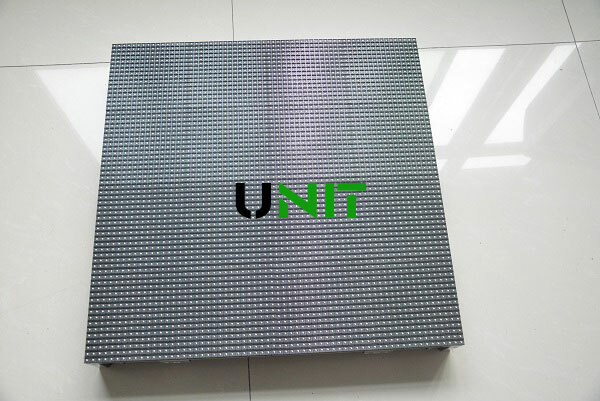 Compared with P8mm, P6.67mm, P6mm, P5mm, P4.81mm, P4mm, P3.91mm, P3mm, P2.5mm, P2.976mm, P2.604mm, P2mm and other small pixel LED display such as P1.976mm, P1.25mm and more, the pixel pitch of P10mm rental LED display is the largest and the pixel density per square meter is the least. 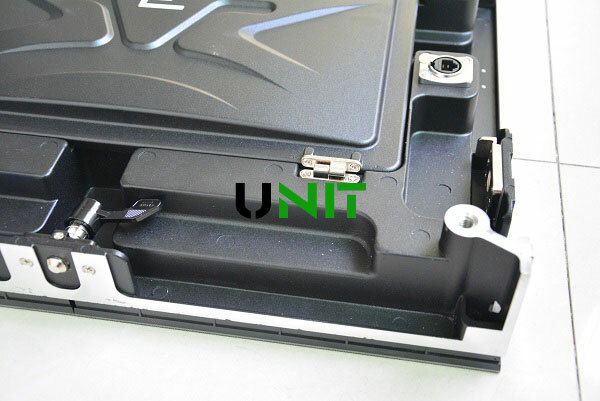 High precise and high strength die-casting aluminum material to make the cabinet stable and strong. The weight of cabinet is only 9kg to make it has the ability to be transported easily and conveniently. Using latest SMD 3in1 technology to ensure LED with excellent performance and vivid image display. High quality Driver IC to offer high refresh rate more than 1920hz to ensure the LED display with perfect visual effect. 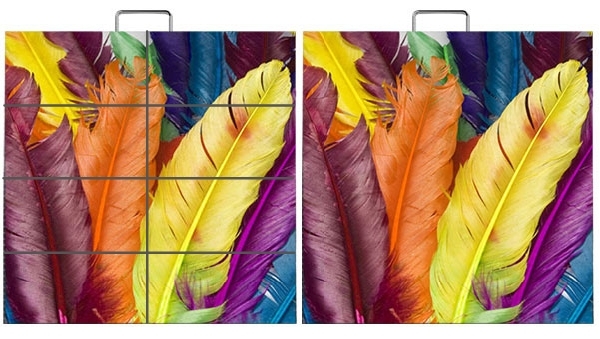 14 bit color depth to make the LED display with nature color and visual impact, giving viewer immersive feeling. 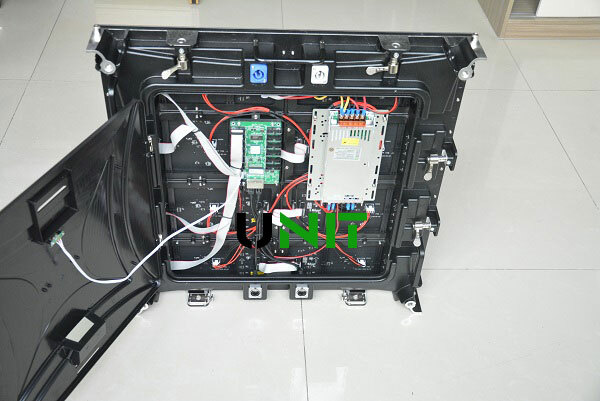 Fast lock design with the feature of seamless splicing, easy to installation, the cabinet can be assembled and disassembled easily. the cabinet with ultra flatness to make the whole LED display without no gaps even it is viewed in short distance. 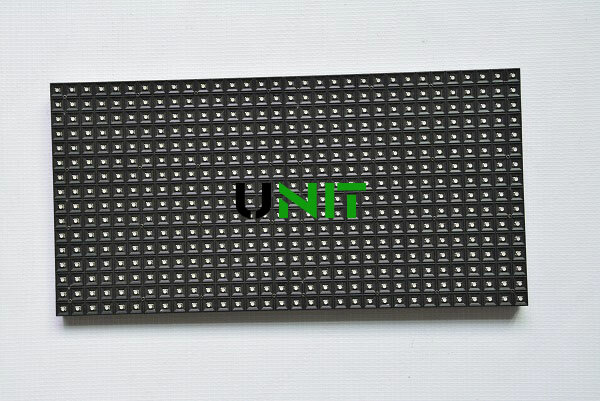 UNIT P10 rental LED screen use SMD 3in1 LED display panel P10mm with the size of 320×160mm and resolution of 32X16dots. and LED panel is made with high quality nationstar LED and stable, reliable driver IC to make the LED screen with a real-life visual impact. 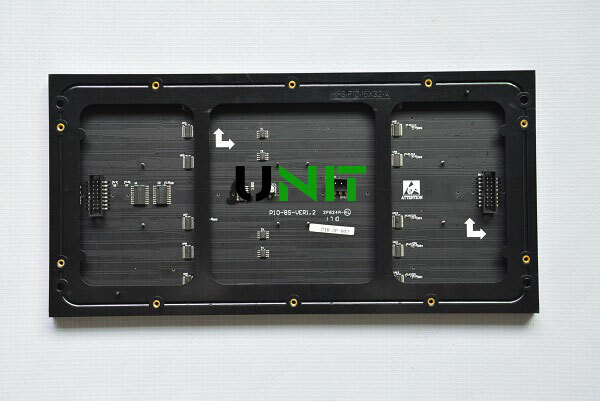 The whole cabinet of UNIT P10mm rental LED display is made of high precise and high hardness die-cast Aluminum, which make the screen cabinet is ultra light with only 9kg for easy transportation, and the cabinet is noiseless, high life with feature of seamless splicing. 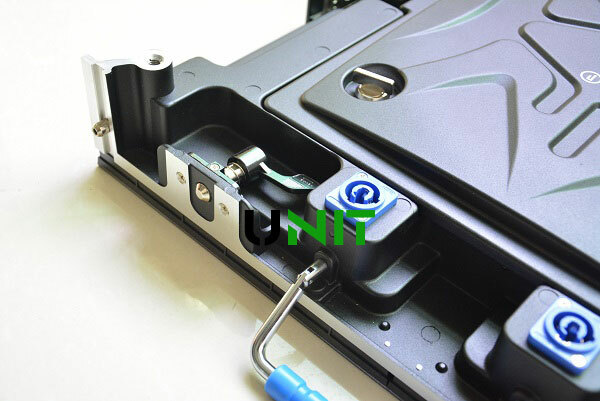 The cabinet protection level up to IP54, and has good heat dissipation and fast heat emission to make the LED display is very stable and works well without noice at all. 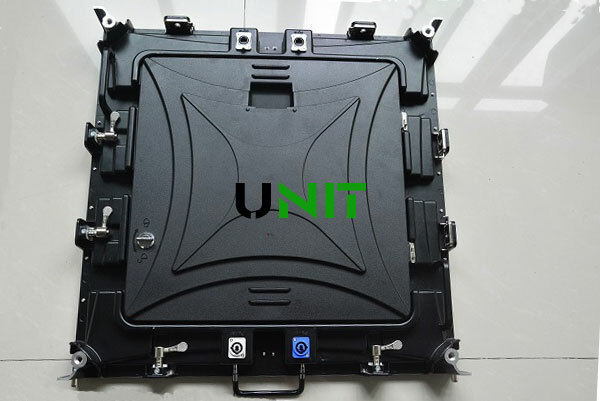 The cabinet adopts modular design and excellent LED display control system such as LINSN , NOVASTAR or COLORLIGHT and high efficiency power supply to ensure the P10 LED display is high reliability and safety. 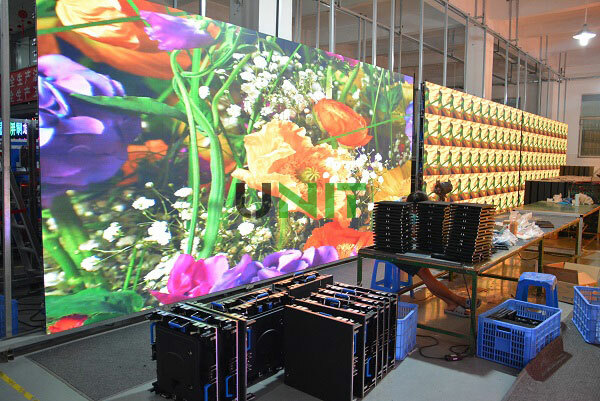 The P10 rental LED video wall cabinet adopts fast lock desigh and high precision locating lab to make LED display with easy connection, installation and seamless splicing, the cabinet can be assembled and disassembled conveniently without any other special tool in a few seconds, it save time, effort and labor greatly. 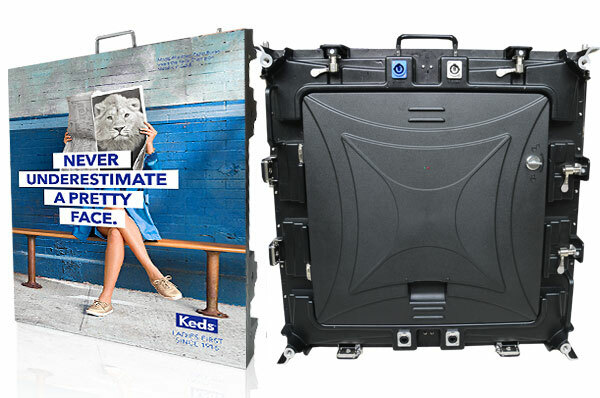 High-precision die-cast aluminum cabinet with fast lock, location pin design to make UNIT P10 rental LED screen is ultra flatness and seamless splicing, the whole LED screen offer seamless display and visual effects, offering you the excellent visual performance and color reproduction with vivid image and video. P10mm rental LED display is committed to High definition LED display field, it is wildy used for Stage LED display, High Definition LED display, High Definition Monitoring LED display, advertising LED display, Bank, hotel, fashion show, shopping center, govement, wedding, Festival event and more.